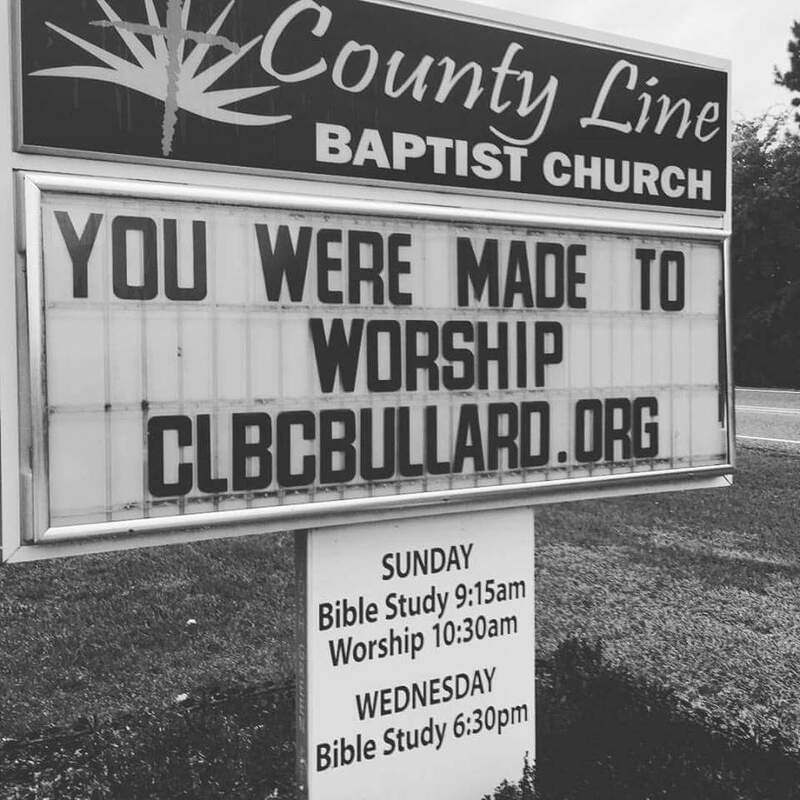 Welcome to County Line Baptist Church. We are a body of believers committed to Making Jesus Famous by Loving God, Loving each other and Loving the World. ​Please feel free to email with any questions.